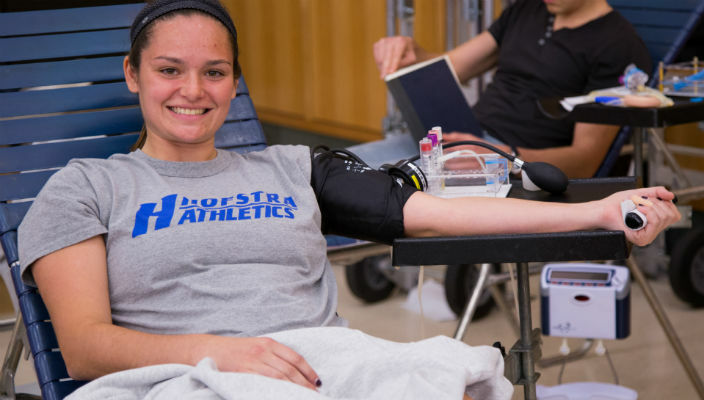 Hofstra University will host its spring blood drive on Wednesday, February 24th, and organizers hope to reach at least 200 donations to help offset low blood supplies in the region. It will be held from 8 am – 8 pm in the Multipurpose Room, Mack Student Center, North Campus. All donations benefit the New York Blood Center. “So much recent snowfall forced us to cancel many other local drives, so the need for blood right now is critical,” said Doreen Fiscina, of Long Island Blood Services, the regional division of the New York Blood Center, the sole supplier of blood to Northwell Health and the Catholic Health System. “February is notoriously a tougher time to get people out to donate because of the weather and school holidays, so that’s why it’s all the more important to encourage each other to help reach and hopefully pass the 200-pint goal,” she said. At the fall drive, 357 pints were collected from students, faculty, administrators and staff, and was used to help 1,071 recipients in need. 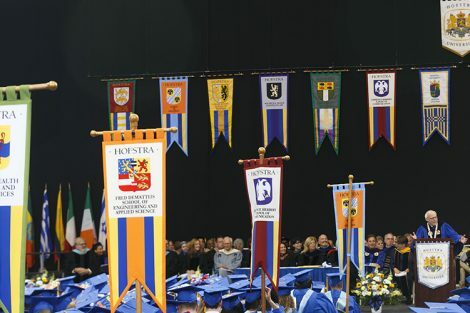 The University also exceeded a milestone of 10,000 donations since 2001. Almost 2,000 men, women and children in the regional area need blood transfusions every day. Since blood can only be preserved for 42 days, area hospitals continually face high demand to replenish supplies. One pint of blood is separated into components that can save several lives.